I actually find the new UI a lot easier to work with and as I just picked up a separate 10key pad at a yard sale (I'm left handed), my workflow will only improve. I remember struggling for ages with my bill-Gates-brainwashed mindset, and then having it all suddenly click - there's a beautiful logic to Blender! I'm still using 2.49 though (even though I've had 2.58 installed for ages), because I hate UI changes! I have to agree with you on this. I absolutely hated the old UI and gave up on blender for a long time because of it. Same here, I tried blender about 5 years ago and just couldn't get my head around it at all and ditched it. Last year I took it up again when I was wanting to do some modeling and found the new changes to it made it far easier. And with far more tutorials including video tutorials and faster connections to the internet now available it has made huge world of difference. My favorite tutorials are from Blenderguru.com , Blendercookie.com and Blendernation.com its well worth giving a spin! I, for one, never said Blender was hard . . . I just stated it had a "steep learning curve". That just means it takes a long time to get comfortable with it. I've been using Blender for almost 4 years now, so I agree with the statements about the old 2.49 UI, it was a mess, though I still had it installed on my old laptop even after downloading and installing the 2.5x to check out the changes. I stuck with the old version because as I got more familiar with it, the more comfortable I became with it. Now that I'm using 2.61, I'm quite comfortable with it, but it took all this time for me to feel this way. I think a lot of people had problems because of the old UI, and I think a lot of people had problems because Blender is a full-service modeller, not unlike the top-of-the-line apps like Maya, 3D Studio Max, etc. Compared to a basic modeller like Hexagon, which doesn't do half of what Blender does, it takes a while to get into, and that's why a lot of people considered it hard. Nothing is hard if you keep at it. It just takes a lot of practice, and the one of the things that always amazed me about the Blender community is, there IS a Blender community and it's large and the app is always being updated, and the amount of tutorials out there is at times overwhelming. Very often you don't find that kind of documentation available, but Blender has it, and that's why I'll stick with it. Hex just keeps crashing, and crashing, and crashing, etc., ad infinitum. Hmm. Maybe I'll give it another try. Good heavens, I barely have time for rendering any more. I've been using Blender since the first public release, ages ago...and it's only recently that I finally consider 'I've got it'...and I still don't know how to do everything without having to look it up/cross reference. I also second the Blenderguru and Blendercookie tuts...great stuff there. Blender's new plugin for Realistic Food. Blender is great, the UI is a shocker at first if you are coming from any other 3d app, but once you get the hang of how supposed to be used (command keys) you realise that its actually insanely brilliant. Best free modeller I have ever come across, its certainly a damn sight more powerful than the likes of Wings or Milkshape. Well I've never tried Milkshape, but I have in the past played with Wings, and I usually tell those who have never done any modelling before to try out an app like Wings first as it's very easy to use. Someone who's never done any modelling before might not like modelling, so why give them a reason (it's too difficult, or takes too long, to learn) before they even start. Once someone's tried an easy free modeller and decides they like modelling and want to learn more, then they can switch to Blender and at least have learned some of the "concepts" of modelling before having to learn a more powerful app's UI. And my god that was overwhelming for beginner, it very did nearly scare me off a few times, but i'll swear by it now. Even to this day - everytime other time I use it ill find a new feature or trick i didnt know was there - its so bloody vast! I'd love to upgrade my current version one day, but I dont see it being financially possible, for the forseable future. I've seen several of Andrew Price's Blender tutorials & they're fantastic! Oh, now I can see from his videos that Blender’s a very powerful and versatile CGI tool, and I certainly would like to do some of the stuff that he’s done. I just wish it was possible to record them all for replay offline so as to not bog down my machine with Blender AND the need to have several active links to the website. If I could just get the films to cooperate so that I can follow along with several of those tutorials lined up and ready to play the important parts I need for each feature I want to use at the moment, it’d be perfect! But as I have only a 2-button mouse, I have to use the emulator setting (not an easy thing to find, either)—I have to say that the U/I is most assuredly NOT user friendly. 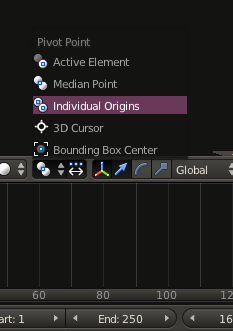 Even if I had a 3-button mouse, I don’t see how that would be “easier” than, say, Carrara’s U/I, for example (& Carrara’s U/I was one of the most frustrating that I’ve had to deal with, after developing most of my skills with early versions of Poser & Ray Dream Studio). While I certainly know that practice with Blender would help me, it’s unfortunate that I don’t have much time to work on it per day or on a weekend—believe it or not, I actually have become "proficient" with Carrara's U/I....after several years of tremedously frustrating projects—so I certainly know it's possible to master Blender ;-) It's just that I don't have as much time to play with Blender now as I had with Carrara back then. I probably could—eventually—become proficient with Blender, but with the current limitations I have on my resources and time, it’s just not so easy as it sounds. The way things are going with carrara it may be prudent to explore other options. I can't say I have actually tried Blender in quite a while. The few times I have tried it put me right off it. And yes, I have been one of the biggest Blender neigh says on here; what does that tell you? While I didn't really have a problem with Blender's UI, I did find it unsettling to have to delete each version and reload a new version every time there was an update, so I kind of lost interest in it. I should probably find one version that is stable and works with the plug-ins I like and just stick with that. Anyone have any suggestions as to which version that would be? Although I currently am using (learning) C4D Broadcast and ZBrush, it is always nice to have a back-up program that contains some features not contained in these programs (although I am not sure what those would be at the moment other than Blender having some dynamics not available in my version of C4D). II think a lot of people had problems because of the old UI, and I think a lot of people had problems because Blender is a full-service modeller, not unlike the top-of-the-line apps like Maya, 3D Studio Max, etc. Compared to a basic modeller like Hexagon, which doesn't do half of what Blender does, it takes a while to get into, and that's why a lot of people considered it hard. Nothing is hard if you keep at it. It just takes a lot of practice, and the one of the things that always amazed me about the Blender community is, there IS a Blender community and it's large and the app is always being updated, and the amount of tutorials out there is at times overwhelming. Very often you don't find that kind of documentation available, but Blender has it, and that's why I'll stick with it. Hex just keeps crashing, and crashing, and crashing, etc., ad infinitum. ...and that too is why I threw up my hands in frustration after spending (wasting) a couple of months (and my hard earned zlotys) with Hexagon and said "I'm going back to learning Blender no matter what it takes". All pretty much use the same tools. Some tools might be more advanced then others. zBrush & Mudd a lot a like. Blender modeling ,object mode ,edit mode ,does not rotate around selected vertices ,there's just a lot of small stuff that slows me down in Blender. Blenders a great app for the price . Blenders great for beginners n low budgets. Blender has a lot of power ,could use a lot tweaking & speed. Tweaking...yeah. But then again, that's part of the OpenSource philosophy. It is infinitely extensible AND tweakable. Yeah, to change the UI would be a bit of work, but it IS doable. There are ways of changing pivot points/rotation...but they aren't easy to find. I Don't want to program so open source does not matter to me. I don't care about the UI some of the high $$$ App's UI's sux. Blenders hot key driven anyways. When I'm trying to model .hot key a, hot key c ,right click etc etc. It slows me down to the point I just won't use the app. But I would like to it's FREE. Only CGI App anyone can actually afford. @RorrKonn -- Do you mind saying which program you are using that makes Blender seem difficult? You can use many Blender versions, that's what I do. The big problem with Blender is that it is Open source. Which means that a lot of plugin become do not work in newer versions and if the authors don't update tthem you have to stick with an old version and sometimes reloading a scene made with a newer version just doesn't work. The good thing with blender is that it evolves continuously, because it's open source. But that has a big drawback : if nobody is interrested in fixing some old bug, you can stay with it for years and this is true also for the plugins. I find Blender great and there is a lot of good plugins also. But I wouldn't say it is for the beginners. The UI (old and new) gave me some headache at the beginning, as I previously used autocad and 3dsmax. But once you get passed it it gets better. Am I the only one who loved the old UI? That is once Paolo helped me grasp the entirety of the complete suite. Custom vertical docking (now default in 2.5 series), and a custom setup room for every flavor; Modeling/Sculpting, Texturing, UV-ing, Rendering, LuxRendering, Dynamics, and 3D Painting. Similar to my different rooms in both Poser, and Carrara. Don't get me wrong, though, I love the 2.5 series. Especially since they have been working so hard on the modeling tools to be on par with Wings3D. Blender isn't quite there yet, but is getting there slowly but surely. Eventually, I can see myself completely abandoning W3D, and use Blender exclusively for my modeling tasks. For now, I'm content with my W3D/Blender/Hexagon/Metasequoia workflows. Not trying to sound like a smart aleck but Blender is the app that makes Blender one of the most difficult app's to model in. But, I really wanto know is how to animate (or simulate cloth or hair) Genesis or G4 figures with blender easily. Would you show me them? Yea, I know the script (Thanks Casual for the script). But it transfer wavefront obj sequence, not rigs. Can I simulate clothes or hair with it in blender? Just do search on "dynamic cloth and hair blender" on youtube. Here is one done back in 2008. It's much better now supposedly (can't be more specific as haven't played with this feature yet.) Here is part 1 of a two part tutorial on particle hair in blender... you can find part 2, dynamic cloth etc with just a bit of searching. Just noticed btw you said 'sequence.' One isn't going to add dynamic hair/cloth in Blender (or any program afiak) on a sequence as each frame in the sequence is a different 'scene.' One might be able to automate the process of copying things from one 'scene' to another but that would be fraught with complications and not likely a good path to take. To add dynamic cloth, hair, physics etc in another program there is only one feasible way that I know of, import, rerig and go from there. I know it sounds like a lot of work and it is, but it is also the only feasible route atm I believe. On the plus side, Blender has a decent internal renderer, Cycles, and will work with Oxygen. The dynamics and physics is well beyond anything short of Maya/3DS from what I've seen, it has brushes like zBrush (not near as good in this case ofc.. no real substitute for zBrush...) etc..
Not trying to sell anyone on Blender btw... just trying to clarify things for anyone wondering. This btw is why I hope some file format like obj/dae... gets standardized where a basic rig can be transferred between software packages. Better support for basic materials would help also. This really needs to be addressed on an industry wide level I believe. The interface was one of the biggest stumbling blocks I had with Blender, just couldn't get the hang of it and I simply haven't had the time to install the latest version to have a play with. Though if you though the old Blender UI was a pain you should've tried Imagine (my version was on the Amiga), took me a good few years to get a usable image out of the thing. After that I got into using C4D after getting the full v2 on a cover disk and upgraded to v3 (also on the Amiga) and that was probably where I lost the ability to use the old Blender type UI (Imagine was very similar in some ways to the old Blender UI). I did however click almost instantly with 3DS Max's interface when I got my hands on it at Uni though, I'm using an old copy that I managed to get my hands on at the moment while learning the new stuff with an educational copy of 2012 (not overly keen on some of the changes for duplicating objects nor the price at roughly £3000/$4800).